In addition to planning trips and packing, travelers have another item on their to-do list: checking for current travel advisories related to their destination. Travel advisories are complex, and deciding whether or not to travel when there is a travel advisory or warning in place, is not an easy decision. The U.S. Department of State provides up-to-date information that will help a traveler decide whether or not to travel in Greece. It is recommended that travelers sign up for the U.S. Department of State Smart Traveler Enrollment Program (STEP) which helps the embassy alert you in times of trouble. STEP is a free service allowing U.S. citizens and nationals traveling and living abroad to enroll their trip with the nearest U.S. Embassy or Consulate. The program also assists family members in contacting you during your travels should there be an emergency. The United States issues two types of advisories, the "Travel Warning" and the "Travel Alert." Though the wording may be a little confusing, The "Travel Warning" is actually the more serious of the two and tends to be put in place when a country is so unstable that travel may be actively dangerous. At any given time, several dozen continuously unstable or dangerous countries may be on the list. There is a general "Worldwide Caution" in effect as of July 2018. When a Worldwide Caution is put in place, the advice from the State Department is, "U.S. citizens are strongly encouraged to maintain a high level of vigilance and practice good situational awareness." Understanding advisories are made more complicated because some news services, bloggers, or social media outlets may hear of a "Travel Alert" or "Travel Advisory" and rephrase it as a "Travel Warning" when they mention it. So don't assume your trip is at risk until you check the details directly with the State Department. Greece is rarely under a travel alert or travel warning, and in general, it's a very safe country to visit compared with some other nations. Though strikes and protests occur and often garner media attention, for most Greeks it's business as usual. And, there are steps travelers can take in Greece to have a safe trip. The U.S. State Department is advising citizens to carry their passports with them at all times. It's always good practice to carry your passport and/or a color copy of your main passport pages on you as a proof of your identity and citizenship. And, if it's convenient, add a copy of the page showing your entry stamp into Greece once you are in the country. Although, as of July 2018, there is no warning or alert listed for Greece, specifically, the U.S. Department of State warns of the potential of transnational terrorist attacks in European countries. The warning indicates that all European countries are potentially vulnerable to terrorist attacks focused on public areas where tourists and locals may gather and provides detailed safety information to help tourists avoid becoming an opportunistic target. If there is a current Travel Warning or Alert for Greece from the U.S., it will be listed on the Travel Advisory page of the U.S. State Department website. You may also want to check the official U.S. Department of State General Information Sheet on Greece. 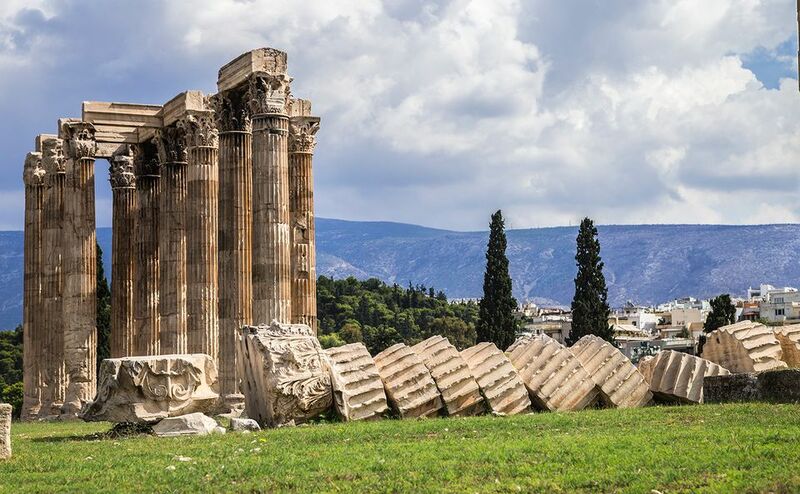 Aside from providing travel information for those going to Greece, the page links to the American Embassy in Athens and to any special announcements the Embassy releases. Other nations may issue similar travel warnings and alerts but generally, the U.S. alerts are based on the same information and reflect the situation accurately. Frequently, mild warnings are just included under the general "Travel Advice" pages on the various nations' websites.